Scotland, 1745. 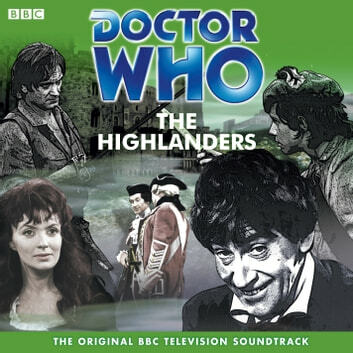 The Doctor, Ben and Polly arrive in Scotland after the Battle of Culloden and meet a band of Highlanders who are fleeing in defeat. Their Laird is injured and the three offer to help tend his injuries. Polly and Kirsty McLaren, the Laird's daughter (played in a guest appearance by Hannah Gordon) go to fetch some water but while they are gone the others are captured by Redcoat troops. Things become worse when the group is taken again - this time by the crooked Solicitor Grey, who is part of the West Indian slave trade. The prisoners, Ben amongst them, are bundled on board the Annabelle where the wicked Captain Trask issues dire threats of drowning. Meanwhile the Doctor is on dry land confusing all and sundry in a variety of disguises. However, his bumbling manner hides a sharp brain and eventually he, Polly and Ben are reunited in the TARDIS together with the young piper Jamie McCrimmon, who went on to become one of the most popular companions of the series.